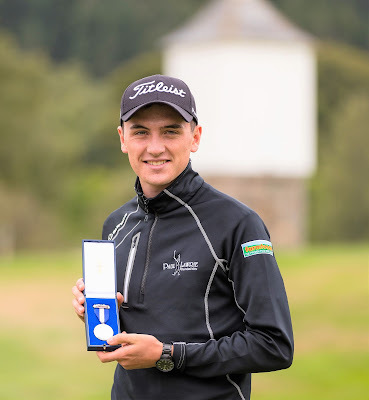 After winning the Scottish Amateur Championship of 2017, Sam was granted honorary membership at Banchory and he continues to make use of the course and facilities at the club. In fact, in the week before Carnoustie this July, Sam was out playing with friends at Banchory, fine-tuning his game. Sam finished as low-amateur in the 147th Open Championship and as the leading Scottish player. In winning the Silver Medal, Sam joined an illustrious list of golfers to receive the award, including: Tiger Woods, Justin Rose and Rory McIlroy. GB and I in the 1971 Ryder Cup, winning 2.5 points out of 5. Greig Hutcheon – A Scottish internationalist as an amateur representing Banchory, Greig has gone on to become one of the country’s most successful domestic professional players. He is twice a Northern Open winner and a six-time winner of the Tartan Tour Order of Merit. He played for GB and I in the victorious 2017 PGA Cup team. James Byrne – As an amateur, James enjoyed great success, reaching the final of the British Amateur Championship of 2010 and then playing in the victorious GB and I 2011 Walker Cup team at Royal Aberdeen. As a professional, he won the Northern Open in both 2012 and 2013. Mark Lothian – Mark won the Senior Men’s World Deaf Golf Championship of 2016 in Copenhagen, Denmark. Mark, a long-time member at Banchory, proved that achievement was no fluke by finishing as runner-up in the event at Carton House, Ireland this summer. For a small, town club Banchory GC can boast an impressive list of alumni and Sam Locke is the latest on the roll of honour.